Nonaka: When I joined the group, I got to read a message from Tsunku♂. It said: “please become the bridge between Morning Musume and the overseas.” I believe that is the reason for me now being in Morning Musume. Nonaka: Morning Musume performs concerts overseas as well, and I believe that whenever we do, that’s when I have to step in. First of all, it’s important for us to communicate with the overseas fans and accurately convey to them what it is we want to say. If I can’t do that properly, then there was no meaning behind me joining the group. — You were very busy at the group’s 2016 events in Houston, USA. 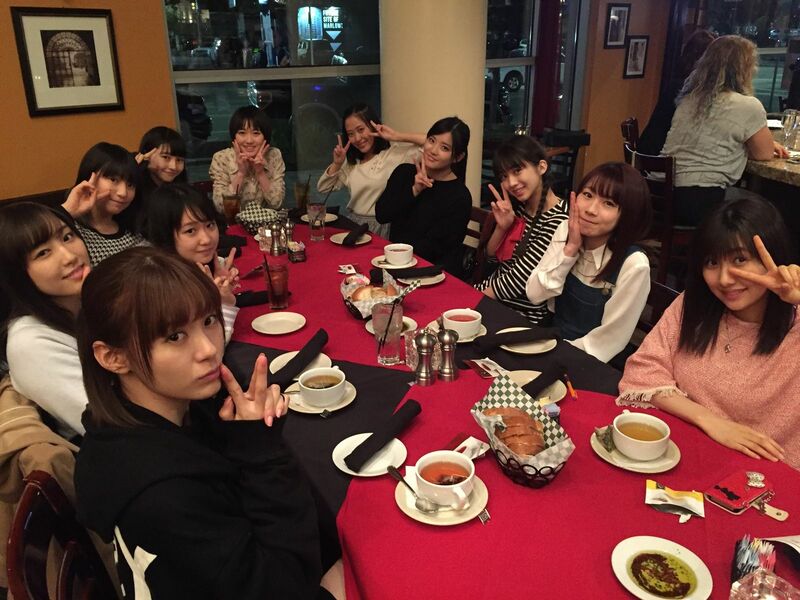 Nonaka: It was my first time visiting America after moving back to Japan at the age of 10, so I was glad about that and I had a lot of fun. I did interpreting for the members during handshake events, and I could communicate directly with the reporters when we did press interviews. I was proud that I could make use of my ability. Nonaka: I had fractured my foot, so even though I got to go to America, I had to sit in a wheelchair which I’m sure made for a lot of trouble for everyone. And most of all, I could participate in the performance only a tiny bit from the side of the stage. I felt so frustrated. — That had the effect of boosting your sense of professionalism, didn’t it? Nonaka: It taught me that I need to always take care of my physical condition in order to show the best version of myself. I swear I will not get an injury or get sick until I can give the perfect performance at our next overseas concert! — You were also active in posting English-language videos for Up-Front Link. Nonaka: Since I couldn’t move my leg because of the fracture, I felt that I should at least do everything I was still capable of doing. That’s when I got the idea of using the internet to post those videos. Furthermore, if you don’t use a language regularly you start to forget it. I didn’t want that to happen, so I was posting new videos every day. If my English-language videos can help us connect with America and other countries around the world, that’d be great. — You were brought up in America and I believe that’s also where you first learned about Morning Musume, right? — “Endlessly” — that’s pretty amazing. (laughs) How did you get ahold of their videos or their music? Nonaka: My grandma would send me DVD’s. That’s how it started with me and Morning Musume. But then once I started elementary school, I was influenced by the other kids to start listening to Western artists. So then when I went back to Japan again and heard Morning Musume for the first time in a while, I was just shocked by the change. — You mean by how much Morning Musume had changed? Nonaka: Right. This was in around 2011 or so. Before, they had been this group with fun songs and dances who everyone would imitate. But now, Morning Musume had become this super cool group whose dances no one could copy. I was just fascinated by how the same group could have such a wide variety of different kinds of songs. It was from that point on that I started thinking about wanting to join Morning Musume. — You then applied for the 12th generation auditions in 2014. Nonaka: The group had just released “Egao no Kimi wa Taiyou sa” when they announced the auditions. There’s this lyric in the song that goes: “ima shika dekinai kimi ga shitai koto wo shina yo” (“do something you want to do which you can only do now“), and it just left such an impression on me. You had to be a teenager in order to apply for the auditions, and it just felt like if I did nothing then my chance to “do something I can only do now” was going to pass. So that’s when I decided “I’m going to be in Morning Musume!” and I sent in my application. — You successfully passed the audition and joined Morning Musume. After joining the group, was there anything you struggled with aside from the cultural differences? Nonaka: I’ve always been someone who spoke very frankly, so dealing with that after I moved back here from America was a bit of a culture shock. It was difficult for a while. 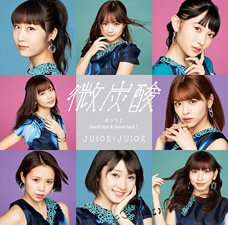 Morning Musume, too, has rather strict junior-senior relations, and dealing with that is something I still struggle with even to this day. In Japan, it’s always important to “read the situation,” right? But in my case, I didn’t even know what that meant. (laughs) That’s something I would often turn to Ogata Haruna for since she’s older than me. I would just follow her example. — How about the opposite? Did life in America teach you anything that has been helpful in Japan? 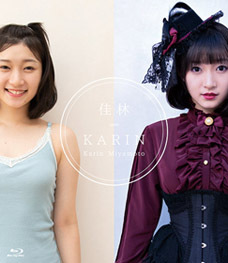 Nonaka: I’m not a very shy person, so I never had any trouble communicating with my seniors or members from other Hello! Project groups. It’s nice being able to invite different members out for dinner and such. The fun thing about being in Hello! Project is how you get to meet people who have such different values than you. You get to know how different people think. It’s so interesting how even when you’re talking about the same thing, different people will choose different words to talk about it. — It might be because you’re bilingual that you’re so sensitive towards word usage like that. Is that true for lyrics as well? Nonaka: Aside from Hello! Project songs I also listen to lots of Western music, and I have to say that Tsunku♂’s lyrics really do have a lot of fun expressions. “Tomerannai shinshu no chocolate” (“you can’t stop the emergence of new brands of chocolate“) — there are lots of lyrics like that which leave an impression and make you think. Almost all of the lyrics aren’t straightforward, and that makes them fascinating. — It’s funny to hear you say that though, seeing as you yourself like to speak so frankly. — There’s no correct answer, or rather, it’s left open for multiple interpretations. — I suppose one doesn’t get that a lot with English-language music. 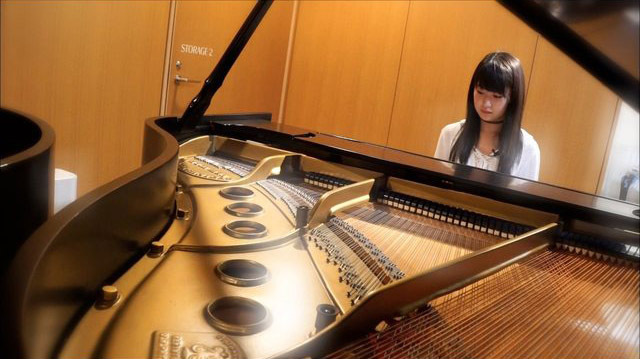 Nonaka: English-language lyrics tend to be very straightforward. Western songs of heartbreak are always like… “I absolutely hate you now!” (laughs) They’re very direct. I enjoy how ambiguous Japanese lyrics are. That’s probably why I think Tsunku♂’s lyrics are so interesting. It’s because I lived overseas before that I now realize the importance of the Japanese language, and of words in general. I’m going to keep treasuring every single phrase I sing. — To me, you have an image of being someone who has always done their best from the moment you became a member. — You had some prior dancing experience though. It couldn’t have been that much of a struggle for you, could it? Nonaka: No no, that previous experience had been as a complete amateur. That’s not the same as professional dancing experience. Especially when it comes to formation dancing, you can’t just “kind of” know the choreography — you have to know it down to the very last detail. I wasn’t able to keep up at all in the beginning. — So it took repeated lessons even for you. Nonaka: Lessons, yes. Of course. But since Morning Musume also has such a long history with lots of existing live footage, I would revisit that footage and see how my seniors danced. 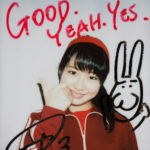 The thing I’d watch the most were Sayashi Riho’s dancing videos. I would use her facial expressions and her style of dancing as reference points, and while I wouldn’t quite copy them, I would imprint them in my mind through repeated watching. — “Inputting” your admired Sayashi into your mind… that sounds sort of like image training. Nonaka: Sometimes they tell us to just “dance freely” and previously when I’d suddenly be told to do that, I would just freeze. 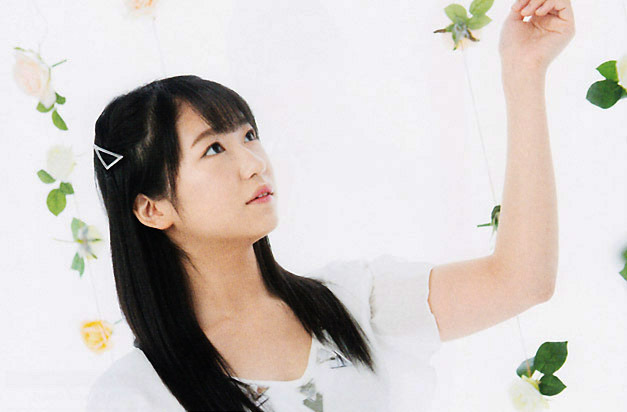 But now what I do beforehand is, I’ll research Sayashi’s videos where she dances freely. I’m also watching lots of Western artists for reference as of late, and while I don’t know if I’ll ever be able to actually incorporate any of that into my own dancing, I still enjoy looking at it. So I hope I can learn something from that, too. Nonaka: Whenever we’re about to do a new song, they always send us a reference video of the choreography. So this one time Yokoyama Reina said to me, “I’m just going to watch how you do it!” I’m not even good or anything, so her saying she was going to learn it by watching me made me so happy. I’m actually often called a clumsy girl, you know? (laughs) While I do think I’m unreliable, I hope to always remain someone who is easy to get on with. I’d want to be a senior like that for my juniors. The 12th generation is actually already in the middle, seniority-wise — we can’t just keep relying on our seniors forever. — It sounds like you’re always very conscious about trying to improve yourself. 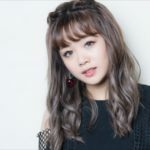 Nonaka: Well, there’s that weight and the sense of responsibility that comes along with being a member of Morning Musume — a group with a 20-year history. Of course I already knew about the group from when I was just a fan, but later I also studied the history of the group from before I was even born, and that made me feel even more responsible about it. We must remain connected to that history going forward, and I hope that my juniors and the rest of the members all study and become more aware of the group’s history. — It’s only 20 years though — there’s still a ways to go. You can’t push yourself too hard. — He made you recognize that which is most important. Nonaka: That’s why I cherish my love of Morning Musume the most of all. Tsunku♂’s words really have an influence on people. Even just a while ago when I contacted him again, he was saying the same thing about the importance of having fun. When I’m enjoying myself, that’s when I can convey happiness to all our fans, too. That’s something I’m never going to forget. — Keeping that feeling in mind, what kind of a group would you like to make Morning Musume in the future? 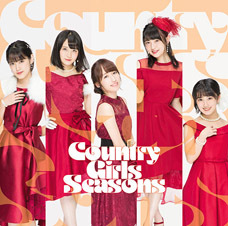 Nonaka: Recently we’ve had a lot of cool, mature songs, so I’d like to take that even further. I want Morning Musume to become a group with songs and performances that can reach the hearts of men and women of all ages. And not just domestically — after all, the reason I got into the group in the first place was to spread Morning Musume globally, too. 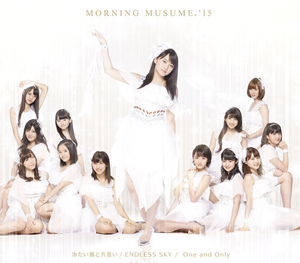 — What is Morning Musume to you? 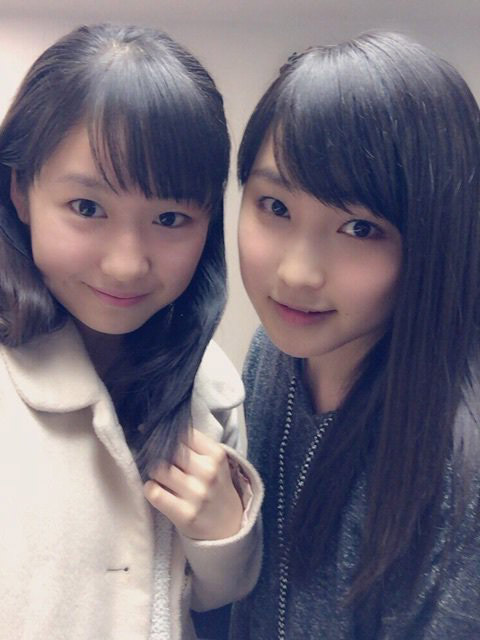 Nonaka: It’s my fourth life. To me, it feels like I’ve led multiple lives. There was the time I was born and raised in Japan, the time I lived in America and went to elementary school there, the time I lived back in Japan as a student… and this time right now that I’m spending in Morning Musume. I’ve always been in such different circumstances that they really do feel like separate lives. 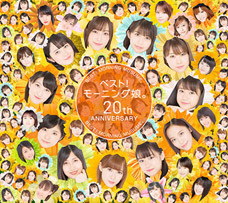 I’d like to make this life all about Morning Musume. 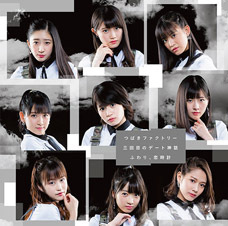 I want to give everything I have to Morning Musume. 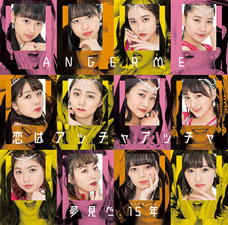 Nonaka: I love the positivity and the subject matter of the lyrics in how it’s about wanting to “sing a song with a message full of love.” And what with the lyrics being entirely in English, too, this song will surely become like a bridge between Morning Musume and the abroad. It’s a song I hope the overseas fans can all enjoy. Thank you very much Henkka. Personally I don’t see Nonaka as the link between MM and the international fandom – she’s too america-centric for that. I do believe that she’s doing her best though and that’s all that counts. America is where the money is so that’s why they focus on it. I suspect they’re going to try to do Pandas pt.2 in the next few years because its an irresistible market. I have Miki the 2nd best vocals(or maybe 3rd) just behind Sakura(and or Mizuki). There is another Hello! Project member I would really like to meet. No surprise, it feels like One And Only was written for Chelsea. 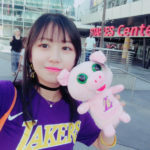 I feel like I should pay more attention to her, but its not like she courts english speakers in general, like she doesnt blog in English or have english dvd magazines, or anything. The Japanese fans were baffled that she isnt more popular with foreign fans. So I kinda want to get more involved to spite those Japanese fans. I think I will go check out her blog and she what she is up to. I will properly look at Miki. It was a shame that they didn’t let Chel talk very much at NYC. One of the things that becomes apparent is the MM is a very cognitive group now. Everyone is always thinking very hard about how to proceed, with all of that history and legacy weighing on them, but also all of that history there for them to reference and rely on. You don’t get that with all idol groups, some of them are a lot more carefree and improvising.